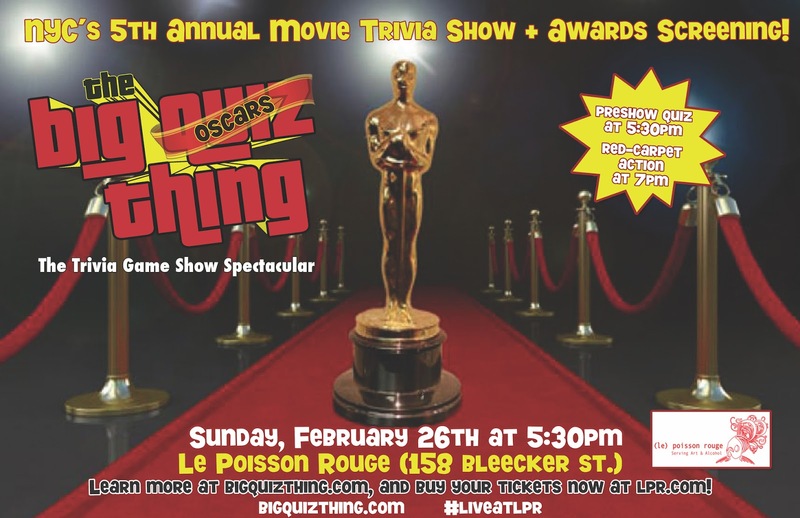 The Big Quiz Thing: Oscars trivia: The Big Oscars Quiz Thing returns to NYC Feb 26! 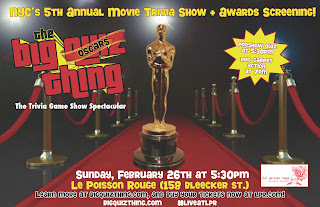 Oscars trivia: The Big Oscars Quiz Thing returns to NYC Feb 26! 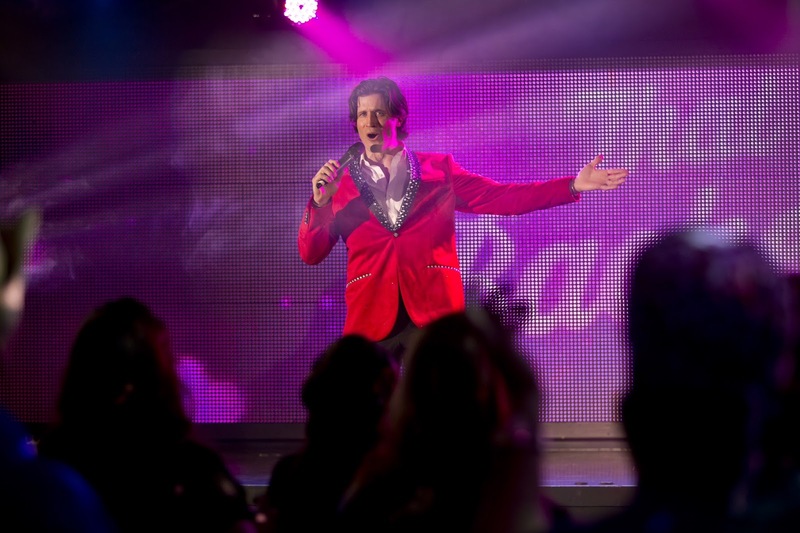 Whether you're celebrating the reemergence of the musical form or you're on pins and needles about who will claim the Best Sound Mixing trophy (c'mon, admit it), our Oscars show has been the best way to trivially celebrate all that Hollywood has to offer for half a decade now. It all gets going at 5:30pm, as New York trivia host extraordinaire, Quizmaster Andy Peeke (star of our recent sold-out Big Family Quiz Thing), leads an all–Academy Awards–themed edition of the Big Quiz Thing's unique multimedia team-trivia spectacular (played via our custom digital answer system). Deluxe prizes at stake too—passes from On Location Tours, Brooklyn's new Alamo Drafthouse Cinema, Baruch Performing Arts Center, Queens Museum, Broadway Comedy Club, and more (plus goodies from Insomnia Cookies)—all leading up to a mondo-size screening of the Oscars ceremony. (Check out LPR's excellent menu of snacks and treats to keep your fortified through the endless congratulatory speeches.) Click here to get tickets while you still can; this is always a hot, star-studded show (so to speak), one of the biggest annual events for trivia in New York. More news about NYC's premier Oscars game show/Oscars screening coming soon to this space, as well as Facebook and Twitter. Who will win the 2017 Academy Awards? Maybe you. See you there, trivia fans. We such as that the CleanMate tumblr.com/ additionally has a high cliff detection sensor, so it won't drive Click the Following Web Page off the side of a staircase or other Quick watch Top Best Essential Oil Diffusers step and beds for a very first pass.